Even as the America’s Cup continues to drift farther and farther away from North American sailing fans, the Volvo Ocean Race continues to sink deeper roots in U.S. soil. First, there was the decision to return to Newport, Rhode Island, site of one of the more successful stopovers during the 2014-15 race. Then came the announcement that U.S. sailors Charlie Enright and Mark Towill, co-leaders of the Alvimedica team in 2014-15 will also be returning as leaders of a joint U.S.-Danish effort being funded by the wind-power company Vestas and the environmental organization 11th Hour Racing. At press time, Vestas 11th Hour Racing was one of four teams that had formally announced they were taking part in the event, which kicks off with an in-port race on October 14 in Alicante, Spain, and finishes in The Hague eight months later. However, because the race will be held using the same one-design Volvo Ocean 65s that competed last time around—thereby dramatically reducing costs and training times—there was still plenty of opportunities for more teams to join in. “It’s an exciting time. We’ve achieved a strong collective of sponsors, and the boat has now been refitted and branded in Lisbon, Portugal waiting for us to get over there and get it out on the water. We’re working hard on building a competitive team ahead of the race,” Enright said, adding he and Towill hope to get in a transatlantic sail or two by the end of this spring. 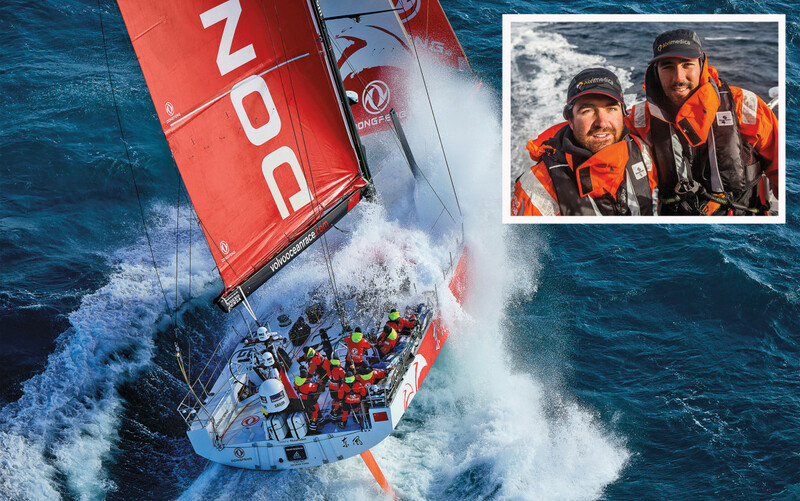 Facing Enright and Towill will be at least two other teams that they sailed against in 2014-15, China’s Dongfeng and Spain’s MAPFRE, as well as a new Dutch team, AkzoNobel. In other developments, traditionalists will rejoice at the news that after venturing into places like the northern Indian Ocean and the Persian Gulf in recent years, the race is getting back to its Southern Ocean roots, with a leg that goes directly from Cape Town to Melbourne and another going from Auckland, New Zealand to Itajaí, Brazil. In all, about 12,500 miles of the 46,000-mile event will take place in the Southern Ocean. For more on Vestas 11th Hour Racing and the VOR, visit volvooceanrace.com.